(TibetanReview.net, Jul31, 2014) – Following sustained lobbying by his followers, Nepal has finally permitted the body of a prominent Tibetan Buddhist teacher to be brought in and cremated in the country as desired by him in his last wishes. Nepali Information Minister Minendra Rijal said a cabinet meeting on Jul 29 had decided to allow the body of Mipham Chokyi Lodro, the 14th Shamarpa, to be brought to Nepal in recognition of his contributions to Buddhism in the Himalayan nation, reported Reuters Jul 29. “The cremation should … take place without any breach of Nepali law, culture, tradition and social harmony,” Rijal was quoted as having told reporters, referring to Nepal’s new policy on such matters. Myrepublica.com Jul 29 said the cabinet meeting endorsed a proposal forwarded by the Ministry of Culture with regard to granting permission to perform final rites of Rinpoche in Nepal as per the recommendation of a high-level government committee headed by secretary at the Office of the Prime Minister and Council of Ministers Raju Mansingh Malla. 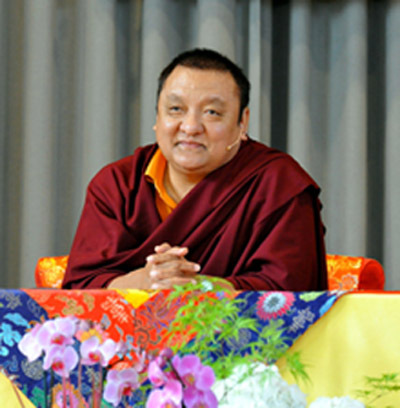 Shamarpa, who is a prominent figure in the Kagyu tradition of Tibetan Buddhism, had died after a heart attack at his religious centre in the German Capital Berlin on Jun 11, aged 62. Nepal initially refused to permit his body to be brought to Shar Minub Monastery at Sano Bharyang, his religious centre in the country, citing the absence of laws regarding cremation of foreigners, thereby going back on a permit it had already given. “We have decided to allow the cremation of Shamar Rinpoche’s body in Nepal as per his last wishes since he contributed so much to Buddhism,” thehimalayantimes.com Jul 29 also quoted Lal Babu Pandit, minister of general administration, as saying. “We have allowed the cremation in Nepal, but his followers are not allowed to carry out any function other than last rites,” Rijal was further quoted as saying. It was previously suggested that Nepal cancelled the initial permit after it learnt that his followers were planning a large funeral procession which might lead to anti-China protests by Tibetan activists. The body was brought to Kathmandu from Diwakar Vihara Buddhist Academy in Kalimpong, India, on Jul 29 and kept at his monastery on a forested hill outside the Nepali capital to allow followers to pay their last respects. The funeral is set to take place on Jul 31, the 49th day of his passing away. Shamarpa was born in Derge, Tibet; raised in Sikkim, India, from the age of five; and held a Bhutanese diplomatic passport at the time of his death. Shamarpa had disagreed with the Dalai Lama’s endorsement of the recognition of Ogyen Trinley Dorje as the 17th Karmapa, the most prominent figure in the Kagyu tradition of Tibetan Buddhism, and he went on to install another boy, Thaye Dorje, in his place. The Dalai Lama had reinstated the Shamarpa reincarnation lineage on a request by the previous Karmapa, Rangjung Rigpe Dorje.